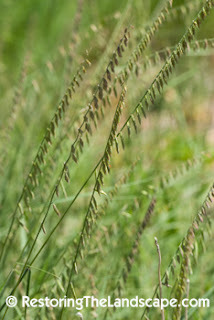 Side Oats Grama is one of my favorite prairie grasses. 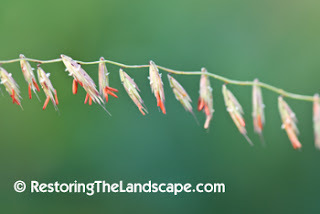 The distinctive characteristic of this grass is that the spikes all hang in the same direction from the seed stalk. As the the stalks arch over, each spike dangles down like fish drying on a line. The bright red anthers are extremely showy. 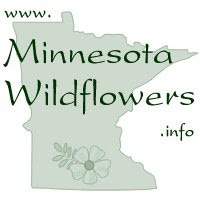 One of the tallest in the Bouteloua genus, Side Oats Grama is a native perennial bunch grass reaching heights to about 30 inches. The 'bunch' of blades stays quite low, below 8 inches. 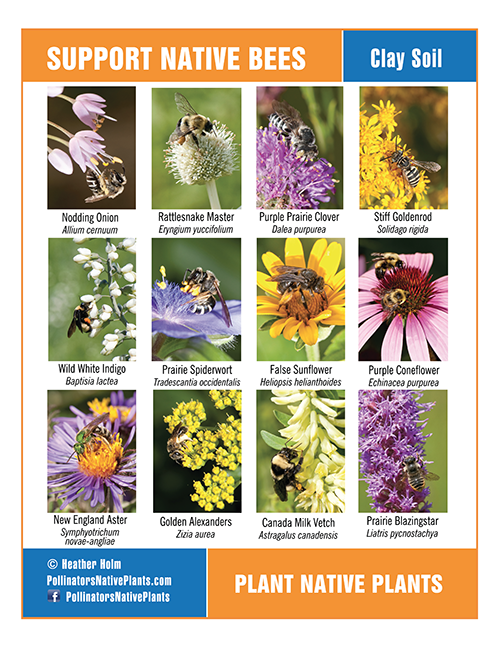 In a native garden, it is both a nice grass to feature on its own, in a mass or intermixed in an informal planting along with prairie forbs. The long slender seed stalks give it an airy transparent quality. 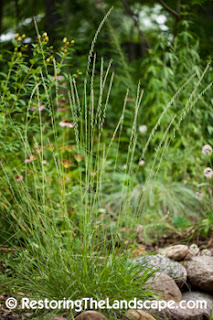 This native grass likes mesic to dry, well drained soils in full to part sun. 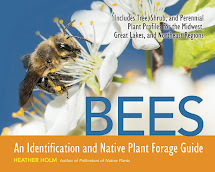 Its native habitat includes prairies, woodland openings and gravel slopes. 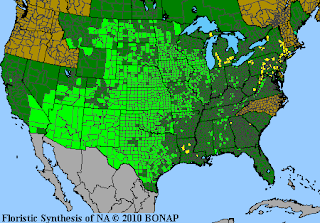 Side Oats Grama is native to most of North America, see map for range.